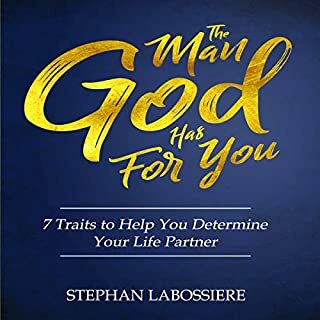 Whether you're furthering your career, getting your education, parenting, or just trying to see a difficult task through to its finish, this book is for you. Life can be a bit much for any of us to handle, but we don't have to face it alone. 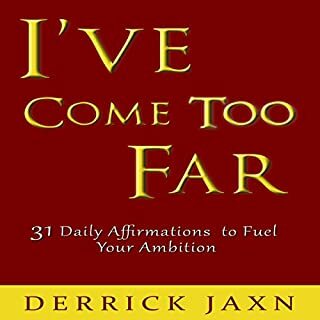 With these affirmations in your corner, you'll have just the tag-team partner you need to conquer any challenge that comes your way. Love Her Wild is a collection of new and beloved poems from Atticus, who has captured the hearts and minds of well over 300k followers on his Instagram account, @atticuspoetry, including superstars like Karlie Kloss and Shay Mitchell. With honesty, poignancy, and romantic flare, Love Her Wild captures what is both raw and relatable about the smallest and the grandest moments in life. 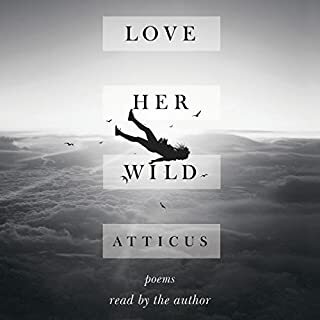 From the internationally best-selling author of Love Her Wild comes The Dark Between Stars, a new collection of heartfelt, whimsical, and romantic poems from Instagram poetry sensation, Atticus. Atticus has captured the hearts and minds of nearly 700k followers (including stars like Karlie Kloss, Emma Roberts, and Alicia Keys). In his second collection of poetry, The Dark Between Stars, he turns his attention to the dualities of our lived experiences - the inescapable connections between our highest highs and lowest lows. Following her breakout debut Eighteen Years, poet Madisen Kuhn is thrilled to share this intimate portrait of a young woman navigating early adulthood and leaving her teenage years behind. Chronicling the complexities, joys, and challenges of this transitional phase of life, Please Don’t Go Before I Get Better is a powerful, deeply affecting work that pierces your heart with its refreshing candor and vulnerability. A poignant exploration of self-image, self-discovery, and self-reflection, this anthology brilliantly captures the universal experience of growing up. Wild Embers explores the fire that lies within every soul, weaving words around ideas of feeling at home in your own skin, allowing yourself to heal, and learning to embrace your uniqueness with love from the universe. 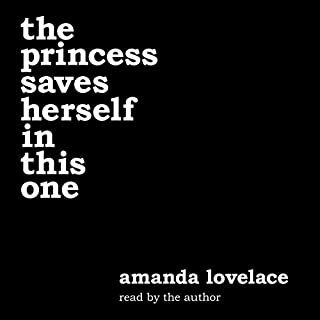 Featuring rewritten fairy-tale heroines, goddess wisdom, and poetry that burns with revolution, this collection is an explosion of femininity, empowerment, and personal growth. When words of love do not come to you on their own, then listen to these letters. Complete, actual love letters of great men like Lord Byron, John Keats, and Voltaire. Leaders like Henry VIII, George Washington, and Napoléon, who wrote to his beloved Joséphine, "I awake consumed with thoughts of you...." Artists like van Gogh, Mozart, and Beethoven, who famously penned, "Though still in bed, my thoughts go out to you, my Immortal Beloved...."
For all us hopeless romantics! Beautiful and brutally honest, Mary Lambert's poetry is a beacon to anyone who's ever been knocked down - and picked themselves up again. In verse that deals with sexual assault, mental illness, and body acceptance, Ms. Lambert emerges as an important new voice in poetry, providing strength and resilience even in the darkest of times. Helium is the debut poetry collection by internet phenom Rudy Francisco, whose work has defined poetry for a generation of new audiences. Rudy's poems and quotes have been viewed and shared millions of times as he has traveled the country and the world performing for sell-out crowds. Helium is filled with work that is simultaneously personal and political, blending love poems, self-reflection, and biting cultural critique on class, race, and gender into an unforgettable whole. beyond beautiful. ! absolutely pure and clean. honest and everything a heart needs to hear. listen to it twice or more, let the love melt into you. Not only will you realize what you're missing , but What you have already., what you deserve and what you want to give. it's everything, every angle, every reason to love again, to love harder, to put all the fake loves aside and find something worth it. Thank you so much. I could fall asleep in your words. I love that Derrick spelled out in a very clear line, the difference between a man and a boy. 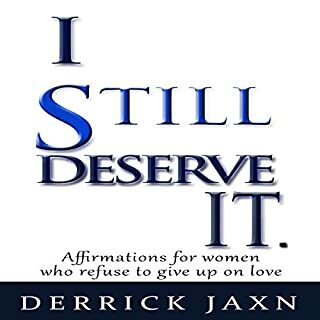 That he had the words to say everything that a woman deserves and I only hope that other men who think to seduce/chase after a woman, have heard &quot;I still want it&quot; because there are lessons built in wisdom, and the key to being a good and loving man. A beautifully raw and real bit of poetry that is life defining and could mold any man to search for a way to be better to -one- woman... for a lifetime. Turns into a sermon and the preview didn't give that away. I regret buying this. 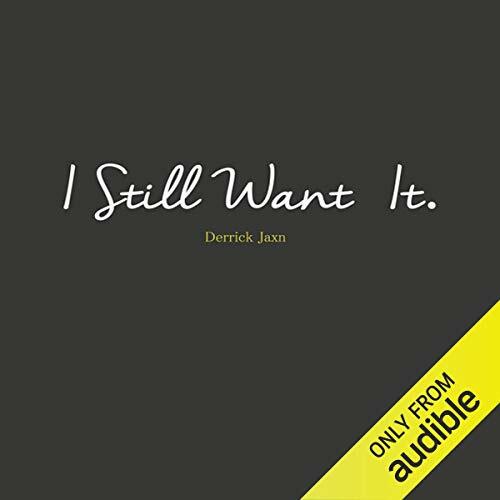 This is an excellent book of poetry to listen to! The author is awesome and reads his work with a great, detailed and sometimes animated voice! 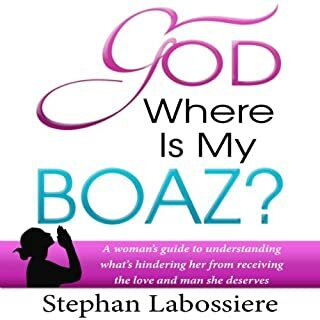 I recommend others to read and enjoy it! I would love to write my story 💓💔💕💖💗. He is inspiring , I still want it gave me faith again, I'm waiting patiently. Loved it Just What I Needed!!!! Great Work felt like you wrote some chapters just for ME!! I loved every chapter. Makes you believe unconditional love is possible and still available some where. I'll continue to wait my turn with an optimistic heart. Jaxn is the mold for what a man should be. LOVED THIS BOOK!!! Jaxn has really helped me get over a horrible relationship that had broken me to pieces. Amazing narrator. Amazing poetry; thought provoking, interesting, uplifting, soulful & hope inspiring. Can listen to this all night every night whether in a relationship or not. Love love love. Thank you DJaxn.